Those of you that know me personally know that I am a bit of a tackle tart, and by bit I mean a lot 🙂 so when I spied these Marukyu boilies in my local tackle shop I just had to get them to have a try. 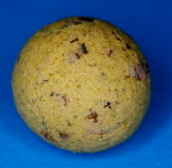 Normally I am very single minded in my boilie taste being that for the last few years I have been using CCmoore Meteor for almost all of my carp fishing. However there has been a great deal of stirring about these boilies on the forums and with that in mind I thought I would give them a try. So what are they like ? well I have not had chance to try them out in a carp fishing situation yet so this is not really a review but more of a 1st look but here are my initial impressions. 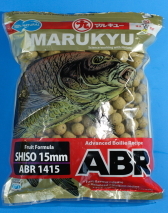 1stly the boilies are made in China under the direction of Marukyu Japan, I have no problems with chinese products but for those of you with an ecological side hey have been transported a long, long way to get into my grubby paws and I am not sure if the globalization of bait is a good idea. Certainly the raw ingredients for 99% of boilies are produced out side of the EU so perhaps making the boilies in the country of manufacture of the raw ingredients is a good idea ? 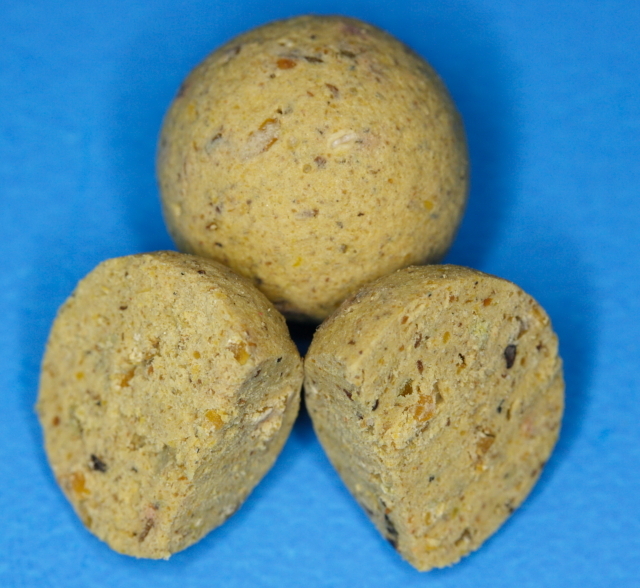 Normally the ingredients list is in descending order by weight in the finished product, indicating that these boilies are very much cereal based and so probably not to the same standard as standard HNV bait. That being said at least they are honest about the ingredients, I suspect that many EU boilie makers have roughly the exact same ingredients and base them almost 100% of semolina flour. 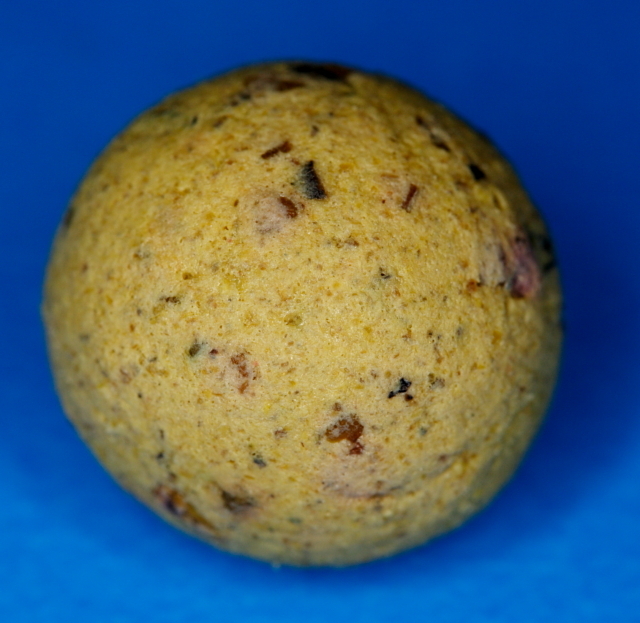 So what do the boilies look like ? The texture appears to be fairly light and I would not be surprised if they are quite neutrally buoyant in the water, certainly I don’t suspect that I am going to win any distance competitions with my throwing stick but they will definitely not fly apart when given a bit of welly. So how do they small / taste. Well though they have been listed as ” Fruit formula” on the packet they don’t seem to have any discernible odour of fruit, in fact the small can best be described as a subtle seaweed mixed with cream. Not over powering at all and a chance from most modern ready mades that are so strong you can small them at 20 paces. Taste wise my human taste buds really don’t seem to be able to detect anything apart from a slight bitter milk taste. However please note that a carp’s taste buds are completely different from mine and so they will perceive things differently. Overall, an interesting 1st step into the bait world, they will not capture anglers with an inviting small ( mainly designed to lure in anglers rather than fish) however they do seem to be “fishy” that is they definitely seem to be something that I can imagine a carp getting its head down on hard. I will use them along side my normal bait for a few sessions and let you know how I get on. Have you used this bait ? Have you used another form the same manufacturer ? what were you opinions ? Share them at the link at the bottom and post a comment.